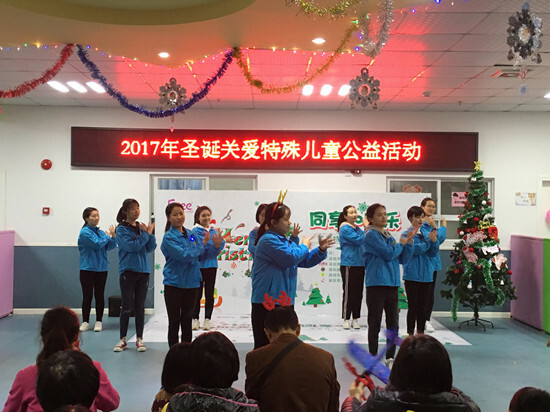 On Dec. 25th in Shenzhen Luohu, ZEN-GAME worked with some social goodwill organizations, such as Associate for Caring Cerebral Palsy Children of Luohu District, Shenzhen, Shenzhen BoYa Children Rehabilitation Center and Free Fly and launched a Christmas public service for caring special children. The theme of this activity was “sharing, enjoying”. To hold a Christmas garden party for little angels, volunteers organized the venue early enough to wait for the little guests. 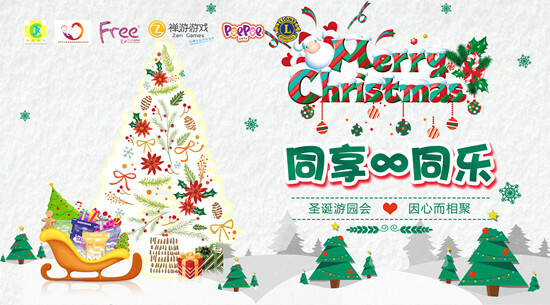 There was Santa Claus playing games with the kids, gift-giving, chatting, picture-taking, etc. All the kids wore happy smiles on their faces. ZEN-GAME prepared Christmas gifts for the kids and hoped all the little angels who were fighting the illness have a warm winter day! Children should be innocent and happy. But to these kids who have congenital defects, this kind of happiness was rare. They have endured a lot. 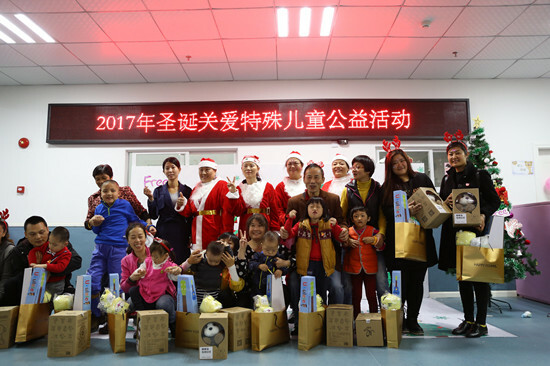 In such a special festival, ZEN-GAME brought the kids loving gifts and hope they could feel to know they were loved and cared for. ZEN-GAME hoped the kids could feel society’s warmth, caring and loving from this activity. ZEN-GAME calls on more people to pay attention to children with cerebral palsy and make public service a part of our lives, allow love to become our religion, lighten every child afflicted by cerebral palsy with positive energy and paint a rainbow in kids’ sky.